Multiple vulnerabilities exist in the Cisco PGW 2200 Softswitch series of products and they are related to processing Session Initiation Protocol (SIP) or Media Gateway Control Protocol (MGCP) messages. SIP is a popular signaling protocol used to manage voice and video calls across IP networks such as the Internet. 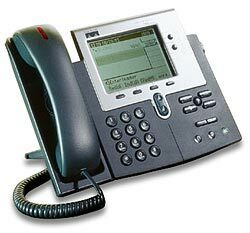 SIP is responsible for handling all aspects of call setup and termination. Voice and video are the most popular types of sessions that SIP handles, but the protocol is flexible to accommodate for other applications that require call setup and termination. SIP call signaling can use UDP (port 5060), TCP (port 5060), or Transport Layer Security (TLS; TCP port 5061) as the underlying transport protocol. MGCP is the protocol for controlling telephony gateways from external call control elements known as media gateway controllers or call agents. A telephony gateway is a network element that provides conversion between the audio signals carried on telephone circuits and data packets carried over the Internet or other packet networks. Multiple DoS vulnerabilities exist in the Cisco PGW 2200 Softswitch SIP implementation, and one vulnerability is in the MGCP implementation. The following vulnerability may cause an affected device to be unable to accept or create a new TCP connection. Existing calls will not be terminated, but no new SIP connections will be established. If exploited, this vulnerability will also prevent the device from establishing any new HTTP, SSH or Telnet sessions. Cisco Unified Communications Manager (formerly Cisco CallManager) contains multiple denial of service (DoS) vulnerabilities that if exploited could cause an interruption of voice services. The Session Initiation Protocol (SIP), Skinny Client Control Protocol (SCCP) and Computer Telephony Integration (CTI) Manager services are affected by these vulnerabilities. To address these vulnerabilities, Cisco has released free software updates for select Cisco Unified Communications Manager versions. There is a workaround for of one the vulnerabilities. Administrators can mitigate the SCCP- and SIP-related vulnerabilities by implementing filtering on screening devices to permit access to TCP ports 2000 and 2443, and TCP and UDP ports 5060 and 5061 only from networks that require SCCP and SIP access to Cisco Unified Communications Manager appliances. It is possible to mitigate the CTI Manager vulnerability by disabling the CTI Manager service t is not necessary; however, this workaround will interrupt applications that reply on the CTI Manager service. Administrators can also mitigate the vulnerability by implementing filtering on screening devices to permit access to TCP port 2748 only from networks that require access to the CTI Manager service. These vulnerabilities are not interdependent; a release that is affected by one vulnerability is not necessarily affected by the others. There are workarounds for some of the vulnerabilities disclosed in this advisory. A vulnerability exists in the Cisco Firewall Services Module (FWSM) for the Cisco Catalyst 6500 Series Switches and Cisco 7600 Series Routers that may cause the Cisco FWSM to reload after processing a malformed Skinny Client Control Protocol (SCCP) message. The vulnerability exists when SCCP inspection is enabled. All non-fixed 4.x versions of Cisco FWSM Software are affected by this vulnerability if SCCP inspection is enabled. SCCP inspection is enabled by default. If SCCP inspection is not required, this vulnerability can be mitigated by disabling it. Administrators can disable SCCP inspection by issuing the no inspect skinny command in class configuration sub-mode within the policy map configuration. If SCCP inspection is required, there are no workarounds. Cisco has released free software updates that address this vulnerability. Prior to deploying software, customers should consult their maintenance provider or check the software for feature set compatibility and known issues specific to their environment. Multiple Cisco products contain either of two authentication vulnerabilities in the Simple Network Management Protocol version 3 (SNMPv3) feature. These vulnerabilities can be exploited when processing a malformed SNMPv3 message. These vulnerabilities could allow the disclosure of network information or may enable an attacker to perform configuration changes to vulnerable devices. The SNMP server is an optional service that is disabled by default in Cisco products. Only SNMPv3 is impacted by these vulnerabilities. Workarounds are available for mitigating the impact of the vulnerabilities described in this document.